Africa for Hemingway was more than a place. It was a calling from deep in his DNA connecting him with spirit and the eternity of all things. 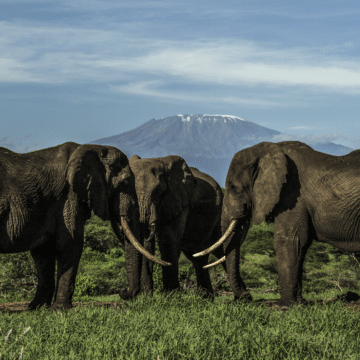 Hemingway found his Africa in the heart of Kenya, surrounded by verdant foothills and rich savannah edging Tsavo, Amboseli and the Chyulu Hills national parks. This is where you will find ol Donyo Lodge. 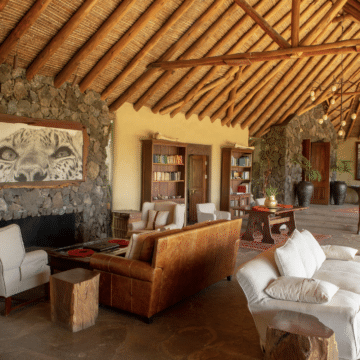 The ol Donyo Lodge sits within 275,000-acres of Maasai-owned land known as the Mbirikani Group Ranch. The five-star Relais & Chateaux ol Donyo Lodge, rebuilt in 2008, is owned by Great Plains Conservation. Guests are not only seeing Africa; they are saving it. With views of Mt. 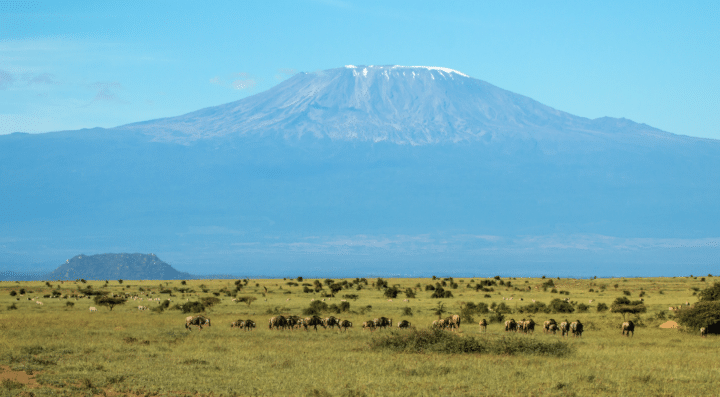 Kilimanjaro within reach just over the border in Tanzania, the lodge brings an exquisite immersion into this magical continent that is unrivaled among safari choices. Riding like the wind on horseback through untouched expanse while slowly taking in Africa on her terms with all manner of nature and animal encounters to sleeping in sublime comfort among the stars as the lions roar and bright-eyed bush babies wail. The ol Donyo Lodge is ecologically well-appointed with sustainable energy sources, building policies and conservation practices. Great Plains Conservation supports a number of local protection initiatives in the countries, concessions and communities where they operate. 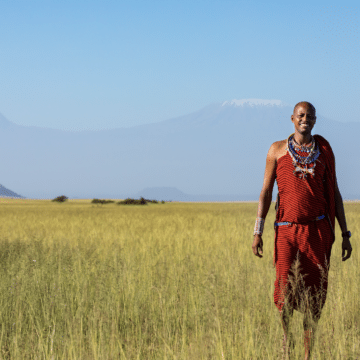 Guests can support a range of projects in the area including the Great Plains Foundation’s Conservation Education program, Big Life Foundation’s anti-poaching and wildlife monitoring work or the Maasai Olympics and the Predator Compensation Fund both of which work to reduce human-wildlife conflict in the region. 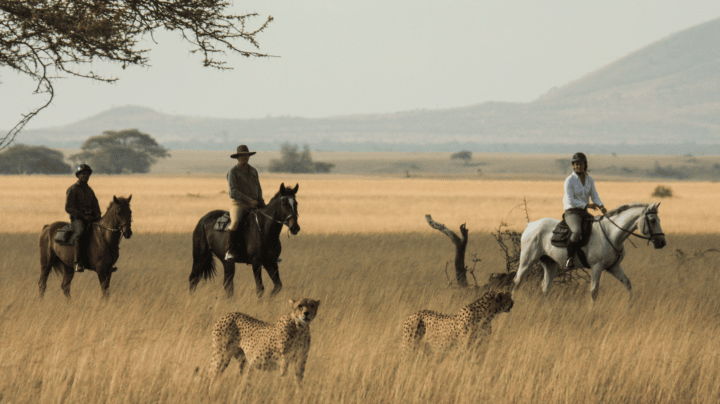 While most safari companies are experts at offering comfortable lodging, delicious meals and diverse wildlife drives every day, what they don’t offer is a chance to truly experience the land as it was meant to be experienced- on foot and horseback. At ol Donyo Lodge, the senses of Africa’s ground are palpable as you sprint across the warm savannah riding along a pack of zebras and other wildlife grazing with the backdrop of Mt. Kilimanjaro. Everything is possible in that moment where human and animal presence blend together. 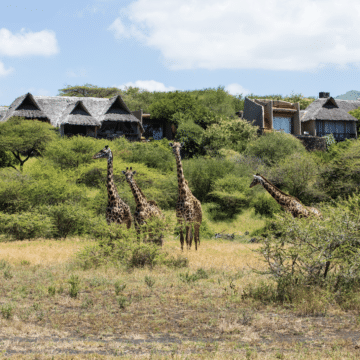 Other days may be led by a guided walking tour through bush and brush to come upon a family giraffes nibbling the roof buds of acacias after a rain or a herd of elephants drinking at a water hole and shyly eyeing the humans as they are eyed back. There are bicycling safaris, photo safaris (equipment provided), cultural visits, hiking and mountain biking depending on the guests’ preference. A stay at ol Donyo is like having your own private Africa. Six pool suites plus a two-bedroom family unit (children five year and older are welcome) feels utterly intimate accommodating up to 16 guests. There are others to talk to and dine with and plenty of space while also private space to alone. The suites are built using sustainable materials and run by a combination of solar and generator power with British large three-pin in each suite. While there is WiFi in the suites, the experience s designed to disconnect and reconnect with nature. Providing a harmonious blend of contemporary and rustic designs, the stunning surroundings will please all types of travelers from couples, honeymooners, families or multi-generational reunions. No two suites are alike but all look onto a stunning view to Mount Kilimanjaro. 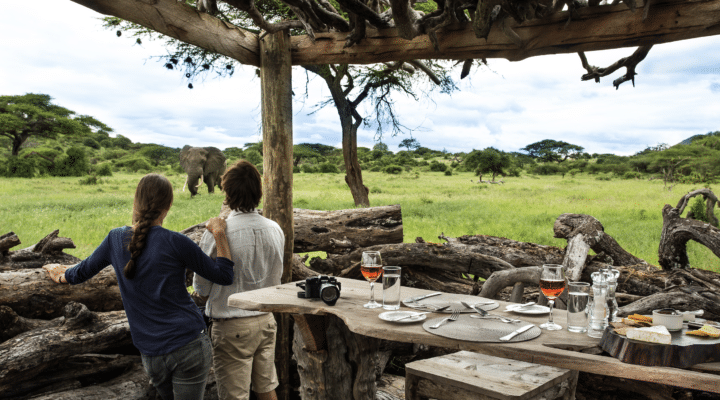 Each overlooks the lodge’s watering hole drawing wildlife in dawn and dusk. For adventurous travelers, there are “star beds” atop each suite for sleeping under the shooting stars. Ensuite bathrooms come with his and her sinks, indoor and outdoor showers, and a deep soaking tub with large windows that open onto riveting views. The private cottages have their own swimming pool built into the massive verandahs that are furnished with cane arm chairs and loungers designed to reminisce about the days’ exploration with a cold G&T in hand. Access to ol Donyo is through lightweight aircraft and daily flights are offered between the Ol Donyo airstrip and the Wilson domestic airport in Nairobi, as well as some additional locations in Kenya. The airstrip can also accommodate private aircraft. The lodge is a 30-minute drive from the airstrip, and ground transfers are included in the cost of the stay. For those looking to stay in Kenya, Great Plains Conservation offers a trio of sister properties in the Maasai Mara area. 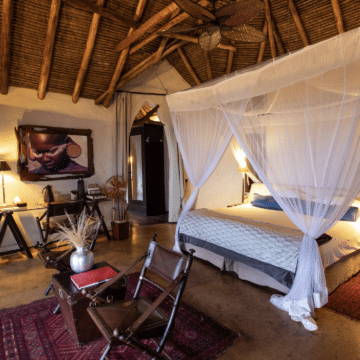 ol Donyo Lodge is perfectly paired with Mara Plains and Mara Nyika, which opens August 1, 2019 just in time for the world famous wildebeest migration. Mara Expedition Camp offers more rustic experiences of the land.